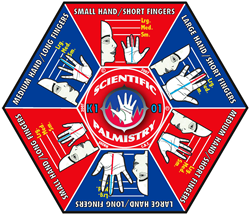 Palmistry is the art of telling the future through being able to study the palm of a hand. This practice is performed Worldwide and those professionals who can undertake it are known as 'Palmists' or Chirologists'. 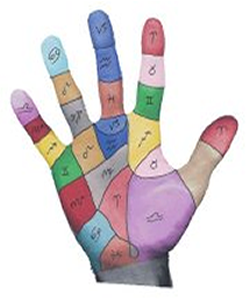 It was believed that Palmistry originated in ancient India and it is now widely used in the modern world. ( showing the creativity and what will come and has been ) and the most controversal of all the lines on the palm, the Life Line ( which gives guidance to the Palmist to show a person's vitality and strength relocations ). Contrary to common belief most modern Palmists do not believe the length of a Life Line is measured to be a person's life span! by a Palmist, will give you a really deep account of the past, present and future. A Palm reading is a great way to have an indepth Psychic Reading with a difference! Please purchase your Palm Reading via the above paypal button and then once this is done, please contact me as soon as possible at my email address estella@psychicandspiritual.com giving me your full name, date of birth and email address together with your two scanned photo's of your Palm. I will reply back to you within 48 hours by email with your Reading. It will be my absolute pleasure and honour to tell you what I see and guide you through whatever your palm shows. Please rest assured that I will give you my best thoughts with what I see and predict both now and in the future and that all Palm Readings will be totally confidential. Also have you ever thought that a Palm Reading would be a great gift for a loved one or friend then I am pleased to also offer Gift cards sent to anyone of your choice to include a full Palm Reading. For this option please add £ 2.95 per booking and supply the name and address of the person you wish to receive the Gift Card.